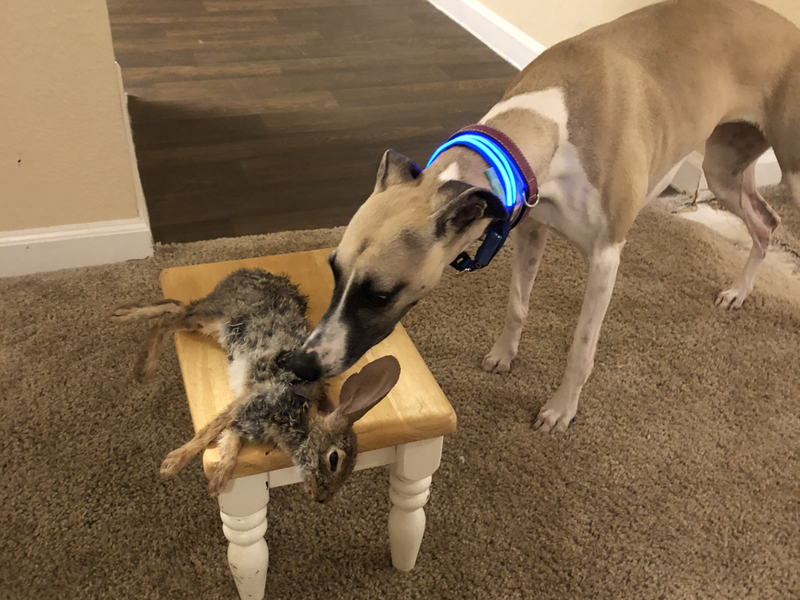 Whippet World • View topic - Took almost a year, but she finally caught one! Took almost a year, but she finally caught one! "How come he's not playing anymore..?" 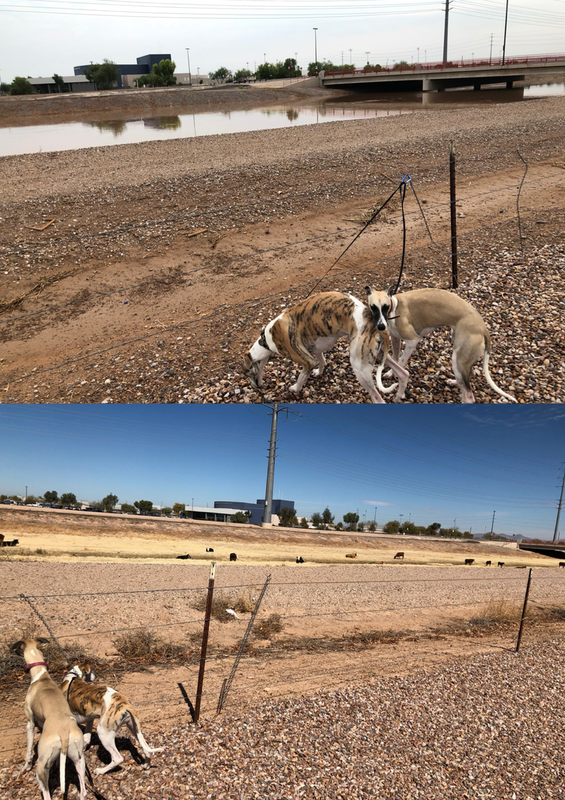 Kinda shocked but proud that Molly finally caught one, she's been chasing after desert rabbits from the first day I brought her home. I think Zeke killed him though, he snatched him from her and was a lot more rough with him before I pried his jaws open and assessed damages. RIP little guy, and Molly - next time, catch and release if you still wanna play chase! Re: Took almost a year, but she finally caught one! Sophie and Teague say "We're jealous! Nice catch!" Oh yes, life with Whippets! In our area, rabbits usually bring fleas with them, but hopefully that's not a concern in the desert? Molly says "Thanks, Sophie and Teague!!" She seems even more excited and bouncy when she goes after them now, its super cute to watch. Lois, I hope not! I haven't seen any yet, but I wouldn't be surprised this year with the strong monsoon season we're having this summer. There's been a lot more thunderstorms and humidity, and with that comes about 10x more bugs. This usually dry canal bed was almost overflowing earlier this week in fact, bizarre sight!